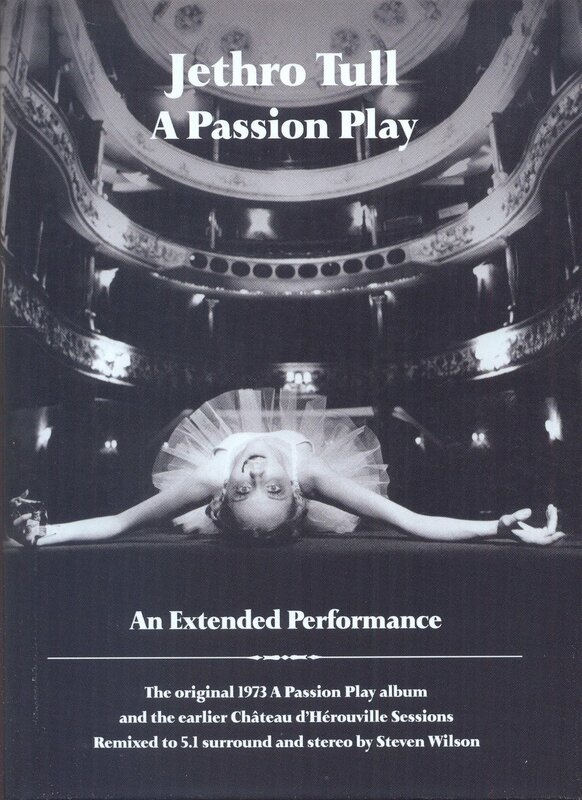 For many Jethro Tull fans the complex prog-rock epic A Passion Play (1973) is the band’s finest hour. 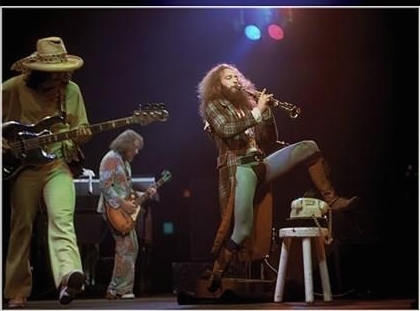 I for one agree – the musicianship on the record is off the hook, Ian’s vocals were never better and those soprano and sopranino saxes he picked up and dropped shortly after this and it’s followup Warchild added a melodic intensity and acoustic coloring not found on other Jethro Tull albums. For anyone already familiar with it’s glories, or to the dedicated Tull fan, the newly remixed edition of that seminal album will be a cornerstone of their music collection. Steve Wilson has been going through Tull’s releases, remixing and remastering them for stereo along with 5.1 surround sound playback, uncovering sonic details in the process that enliven and refresh these classics. Of his work so far, 1970’s Benefit and 1971’s Aqualung stand out as now definitive versions of those albums. As 1972’s Thick as a Brick is also complete, he moved on to A Passion Play. The set is spectacular, including two CD’s, two DVD’s and an 80 page booklet, all housed in a sturdy, properly bound package the size of a multi-disc DVD set. CD 1 contains the new Steve Wilson stereo remix, CD 2 includes the most complete Chateau sessions to date, clocking in at over 60 minutes. DVD 1 is the main album remixed for various surround sound modes, which reveal amazing detail hard to discern in stereo versions, and also including the ‘Hare’ film, and the ‘intro’ and ‘outro’ film footage used in the tour of 1973. Finally, DVD 2 contains the full Chateau sessions all presented in several surround sound formats. Original 1973 mixes are also included. Of the remix itself, it’s powerful, organic and straight forward on the stereo CD, complete save for a couple snippets of saxaphone. And, it is expanded – now including an additional minute at the 1:52 mark of “The Foot of our Stairs” adding two verses to that section found spliced to the end of that reel. The DVD 1 which sports surround sound is the most exciting remix in that format of any progressive rock album I’ve heard. It seems every bit of the dense mix is included, yet separated out in the overall field of sound, to lend understanding and appreciation to each musician’s parts, even the smallest details, and in particular Ian’s playing, including the infamous soprano/sopranino saxes. There is an immediacy and urgency to the delivery which is highlighted here, along with the true brilliance of Ian’s vocal presentation. 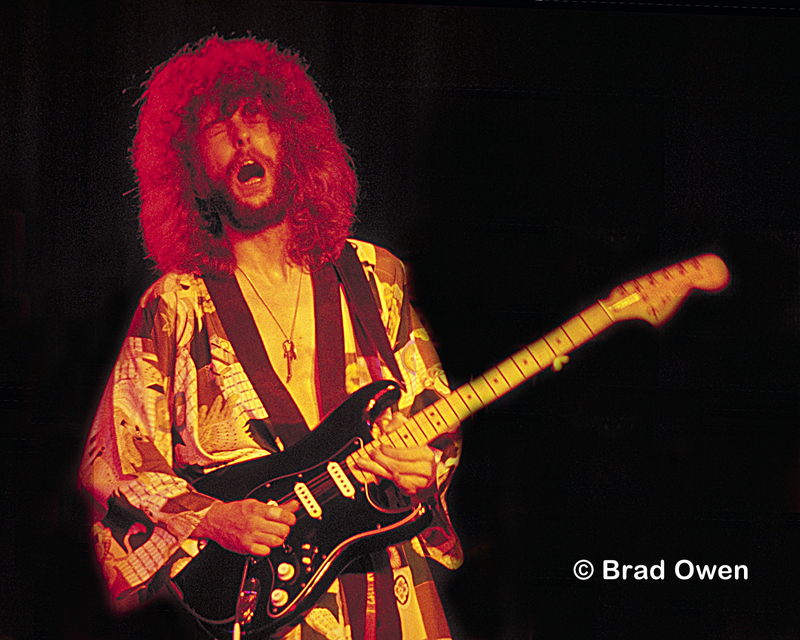 Listen to part 1 and 2 alone – “Lifebeats/Prelude” and “The Silver Cord” and easily pick out Martin Barre’s jazz guitar licks, juxtaposed against Ian’s amazing renaissance like vocal melody. It could easily be argued that the double flute solo on “Memory Bank” backed by drummer Barriemore Barlow’s intricate playing is Ian’s best, save for live performances. As presented here I heard bits never audible in any prior presentation. According to the liner notes in the lengthy and informative booklet, Ian tried to convince Steve to mix out his saxaphone parts, in part due to Ian’s distaste for it, but also due to the dense, crowded work that the album is. It’s something we who love this record would have considered blasphemous and in the end Steve prevailed and trimmed only two short bits while managing somehow to give sounds that had been unclear a little space to breathe and be heard. Over these many years, I’ve never understood Ian’s decision to drop the saxophones, but in the booklet he offers an explanation of his distaste for it that finally resonates for me – the “fiddling about with reeds” which were “wet and soggy” made it less enjoyable that his trademark flute, and marks this album for him with unkind memories. For me, the sound he achieved with these extra winds made Tull “swing” for a short couple of years, making these works unique and wonderful. On this record, Ian’s vocal work is amazing- arguably his best ever recorded. It’s a more operatic style – as he now states: “it’s delivered in quite a theatrical and natural voice; it’s not rock singing, it’s a baritone singer singing relatively clear and precise tunes” which he now remembers more fondly than at the time. Add to this that its the first time John Evan used synthesizer to any large extent, and it’s certainly the most unique of Jethro Tull’s early work. 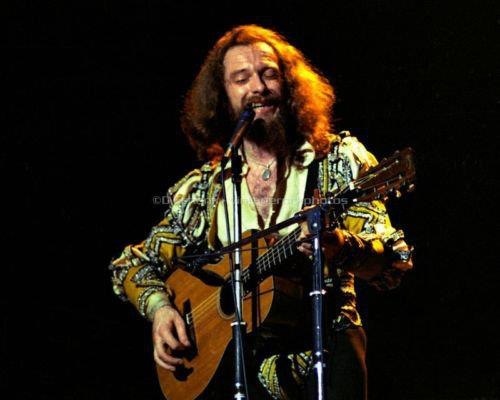 Though not a favorite of guitarist Martin Barre, it is most fondly remembered by Barriemore Barlow, and by bassist Jeffrey Hammond-Hammond, and now, though still a bit begrudgingly, by Ian Anderson. Prior to writing and recording what became A Passion Play, Ian and company made an attempt to do so in the famous Chateau d’Herouville near Paris. Most of the band recall getting food poisening, and living there under very “scuzzy” conditions. There’s a long story to what happened but basically the band returned to England and scrapped the recorded material, starting over with what became A Passion Play. Subsequently on their 1988 20th anniversary box set, a small selection of recordings from the Chateau where included, then almost all the remainder in 1993 on the Nightcap compilation augmented by added flute and treatments. As the booklet explains, Steve wanted to keep the recordings as they were, without heavy processing, and including around 10 minutes not previously heard, and convinced Ian to do so. The material is a mix of more aggressive passages akin to those that ended up on A Passion Play, which lyrically point to life as being just as a theatrical production, along with many lighter bits, which are from a competing idea of making a concept album around man as a member of the animal kingdom. How these were to be woven together remains a bit of mystery. Nonetheless the material is compelling – most of it first rate, and as core fans will know, some of it ended up on the followup Warchild and elsewhere. It is presented in this package as never before, and as every fan would want it. Many critics were not pleased with A Passion Play, and it’s accompanying tour, and there were some very unflattering articles written at the time. 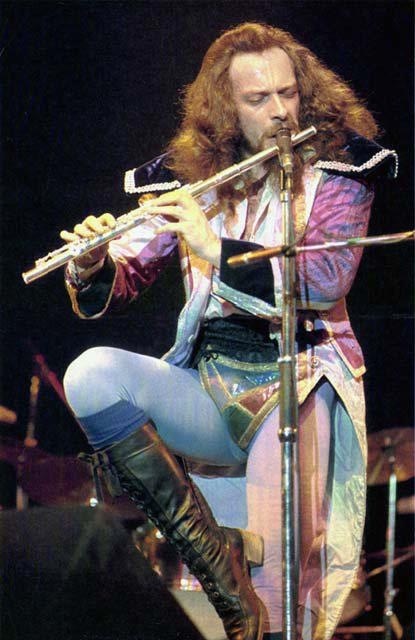 This prompted a scheme on management’s part to suggest Tull quit the business due to the media coverage, which was not approved by Ian and the band. This nonsense further marks the work as the brilliant creation that it is – the best musical art is very often misunderstood in it’s time. It is true, A Passion Play can be difficult listening for many – the work always has been uncompromising, and it still requires attention to unwind it’s charms. But if you know the material, or believe you could open your mind and your ears to it, this new package is the right way to do so, and comes highly recommended. I saw Brand X twice in the late ‘70’s at the Roxy Theater in Los Angeles. As it turned out, these were rare chances to see this band in concert, delivering blistering performances of some of the most progressive jazz-fusion ever created. 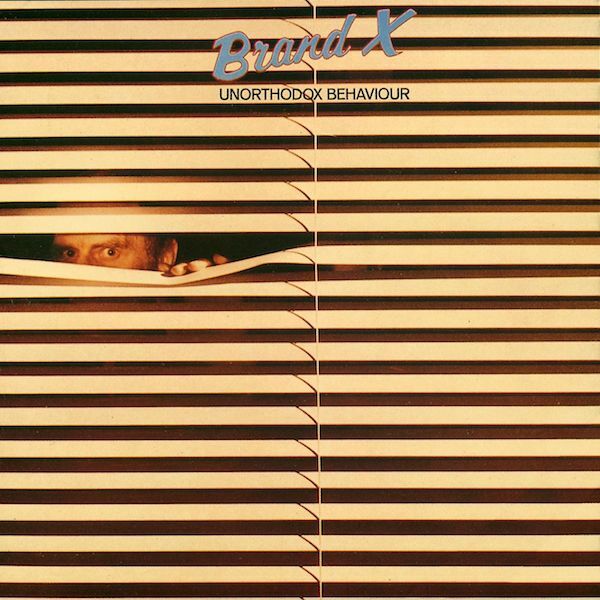 Many fans like me learned of Brand X via Phil Collins who played drums on most of their early work, and even sang on a few tracks. What we learned though, was a whole lot more about jazz-fusion, and the amazing musicianship shown by all members of the band. In the final portion of this series, Part III, let’s cover the early years of Brand X and hear from Robin Lumley (keys) and Percy Jones (bass) – core members of this fusion super group. In his debut work with Brand X, Percy Jones sounds like a musician who had been playing for years with a fully realized and unique style, even before his vinyl debut. His innovative playing on electric fretless bass is fluid and harmonic and in addition to Brand X, he has played alongside other similarly talented artists, including Steve Hackett, Brian Eno, David Sylvian, and more. About Percy, Robin declares: Gareth Percy Jones (that’s his real name in full) is at once a modest man, not blowing his own trumpet (or should that be bass?) and also an extremely talented and innovative musician. When I first met him in 1972, he was already experimenting with hi s bass. He had a Gretsch semi-acoustic at that time and had removed all the frets. He also had an accelorometer for measuring standing waves in buildings, which he was using as a pick-up! He invented all kinds of outboard boxes connected to his bass which he christened AMOS, (analogue Modification of Sound). He was a genius well in advance of everybody else. He worked out a style of bass-playing which leaves [the others] far behind! The bass playing coming from Percy was an art of harmonics and subtle textures. In future musicology he will be named at St Percy of Llandrinod Wells, the patron saint of bass players! I am in awe of being privileged to have worked with him! As Brand X prepared the debut release, the band became a foursome – of Robin, John, Percy and Phil. Jack: At the time that Brand X formed I was snowed under doing solo stuff and working as a producer for Phonogram and Polydor in Milan, Krisma with Hans Zimmer on Keys and Amsterdam. Robin gave me the lead on Kayak and I also did Rick van der Linden, and Jan Akkerman. Oh! and then there was Aviator which Robin produced and is just about ready for a Gonzo re-release. That was me, John G. Perry, Mick Rogers and Clive Bunker. There was just too much going on for me to have been an on-going part of Brand X. D: What was the origin of Brand X? Percy: There was a guy who was a roady for us we called “sheds” – and one night he said, “I hooked up an audition with Island Records.” So we went and played for Rich Williams and Danny Wilding who were from Island, and they really liked it and signed us up, which was a good shock to all of us. We rehearsed for weeks and months actually before doing the first record – and they were paying for all of that rehearsal time. We then recorded a set for Island which had vocals on it. It was okay but was not breaking any new ground – sounded a bit like Average White Band and we wanted to be different. They did not release it at the time. So, we decided to change direction a bit and do an instrumental record. To do that we needed a personnel change also – we invited Bill Bruford down to play drums, and he came, but turned it down – because at the time he was spread a bit thin. Danny said we should try this guy out who played with Genesis. Phil came down and that worked out musically and he was into it. And luckily Charisma records took over and got the unreleased recordings from Island. Robin: After we signed to Island, the group was a soul/funk outfit and the 4 of us (who became Brand X) were dissatisfied with the tunes. Then Tony Smith (Genesis manager) came along and suggested that the 4 of us signed to Charisma. Percy: We landed a publishing deal with a company called Fuse Music. Fuse gave each of us 200 quid as a publishing advance. I looked in Melody Maker the same week and a guy had an ad in there that he was selling a Fender precision fretless for 200 quid. It was really in great condition except for some Guinness stains on it so it seemed a really good nick. So I spent my advance on the bass (I think Goodsall bought a fur coat). I developed a relationship with this instrument – there were all sorts of things I could do on it potentially that I could not do on the old Gretsch. Percy: With the Fender, I could express myself a lot better – you could slide harmonics, invert chords, start with two notes – a major interval, then slide up and two more notes at a minor interval. Things like that it was just a much more expressive instrument for me – I’d always loved the upright bass, but liked the volume and tack that you could get with a fretless. It was qualities of both – it was fortuitous that I got the advance, and found that bass. 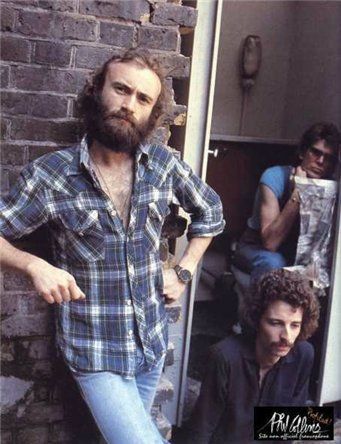 [Ed: the band went on to record a second studio release, Moroccan Roll, released in 1977 which sports a proper vocal contribution from Phil Collins, and deepened their fan base. 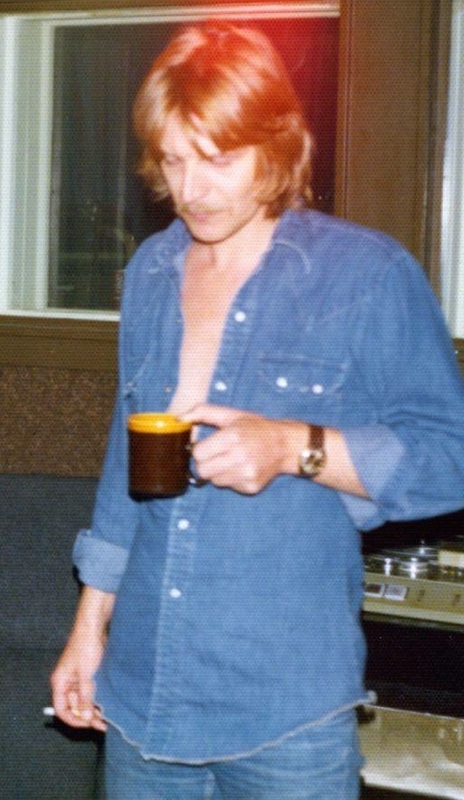 Morris Pert (percussion) joined the band for that second album and became a full time member of the ensemble. Robin: Nice of you to say it! As a matter of fact, I think the high water mark (as you put it) was a constant one – being in Brand X and reveling in the friendship and musicality of the other 3 members. D: Robin, in 1978 you went on break from Brand X for project work? 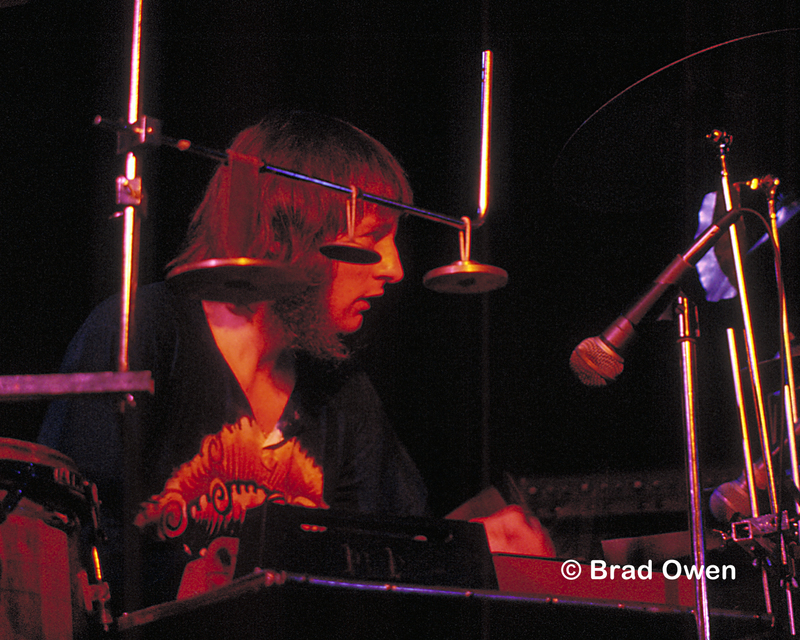 Robin: 1978 was when Tony Smith decided I had a lot of production offers and, looking for a career which went beyond being in a band, I took a year or so off from performing and produced Isotope, Bill Bruford, Jack’s Solo album, Rod Argent, Orleans and of course, Brand X itself (Masques). Peter Robinson was always a great friend and he joined Brand X as keyboards player. In 1979, it was decided it might be fun if I came back and joined up with Peter as a keyboards duo on stage. Which turned out to be special fun! D: Did you have a sense that Brand X was something beyond straight jazz-fusion – was that intentional or an artifact of the jamming or musical influences? Looking back now, how do you view the band and their success? My musical life during the 70’s/early 80’s was being in a heady awesome feeling, that working with sooooo many talented persons with whom I felt in awe. I never did figure out how I had been so blessed! Percy: I think we did some good stuff – though I rarely listen to it. In the band I’m in now we do “Nuclear Burn” (first track of the Brand X debut.) So I had to listen to it and refresh my memory. I look back on that stuff and think – we did some creative things – and then in some parts I think, “why did I do that”! I think the band was original, had a good energy and everybody was committed to doing it. Phil was a great drummer and I had a great time playing with him – he was a very musical drummer and would use spaces – we used to do a lot of sessions together back then – called out as a rhythm section. I’ve not seen him since the early 80’s. The big disappointment with Brand X was not getting any royalties – the old management group claims we built up quite a debt but they won’t account for it. D: What are you up to today? Robin: I am a full time author today – just now working on the story of a ships cat! Simon was the first feline to win the Animal VC in 1949. And then next, I am doing a history of the Falkland Islanders resistance movement during the 1982 Argie occupation. Percy: I am forming a new band – the core is bass, drums, guitar – and we are using a Theremin or saxophone depending on who’s available. There’s some great musicians living in Brooklyn – doing day jobs. We are almost at the point of being ready to record. If the opportunity comes up to play live we will, but getting gigs with this type of music is like pulling teeth these days! This is part II of a three-part article on the work of Jack Lancaster & Robin Lumley and what followed with early Brand X. In the first part, we established that Jack and Robin wrote and recorded two albums in the mid 70’s – Peter and the Wolf, and Marscape, both involving most of the other members of what became Brand X, along with other guests. These alumni include Jack Lancaster (winds), Robin Lumley (keys), Percy Jones (bass), John Goodsall (guitar), and Phil Collins (drums), also of Genesis and lengthy solo career. Both albums were re-mastered by Jack Lancaster last year and are available on Gonzo Multimedia. Jack is also credited on many film and television projects over the years and continues working out of Los Angeles. 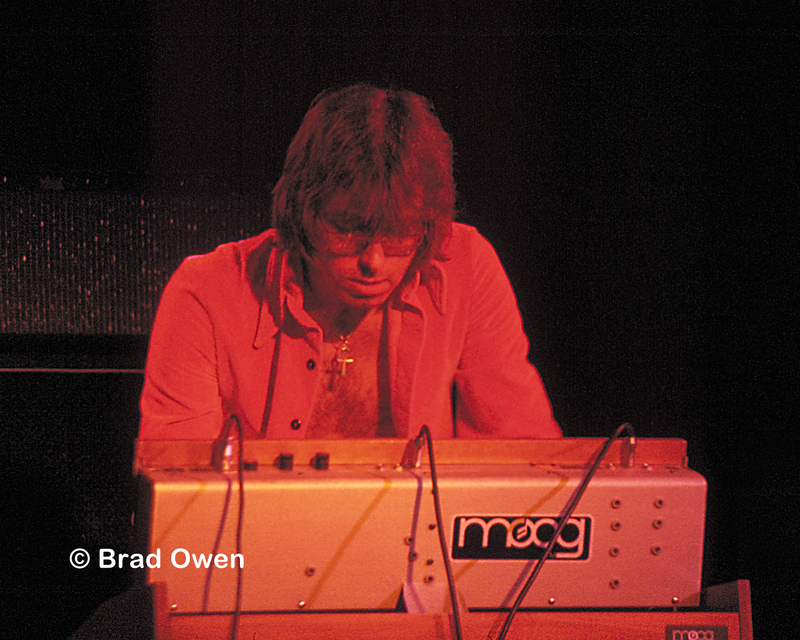 Robin landed on the music scene in time to play keyboards for David Bowie during the Spiders from Mars era, then released two albums with Jack Lancaster, covered here, founded Brand X playing keys on almost all releases, and ended up producing work from Isotope, Bill Bruford, Jack Lancaster’s solo album, Rod Argent, Orleans and even Brand X itself! (Masques). Of his musical origins, Robin explained, “I was self-taught and didn’t begin playing keyboards until the age of 21 – too late, most people thought. My influences (not surprisingly) were Joe Zawinul and Chick Corea.” Also, my neighbour upstairs in Beckenham, Kent, was the acclaimed jazz pianist Keith Tippet (who incidentally is married to Julie Tippets……ex Driscoll (“wheels on fire” by the Brian Auger Trinity)). From 1971 through to 1976 he took me under his wing and taught me LOADS of things about improvisation etc etc etc. What more could an inexperienced beginner look for in a mentor? Robin still writes music but only for classical string quartets in Australia. He has also become an author with his first book out last December on History Press UK – all about the Tay Bridge Disaster in Scotland, 1879. Percy Jones (bass) was also interviewed for this piece and his intro and commentary will be found in part III, along with thoughts from John Goodsall (guitars), both of who were key contributors to these works and are the foundation of Brand X along with Robin, Phil Collins and starting with their second release, Morris Pert (percussion). 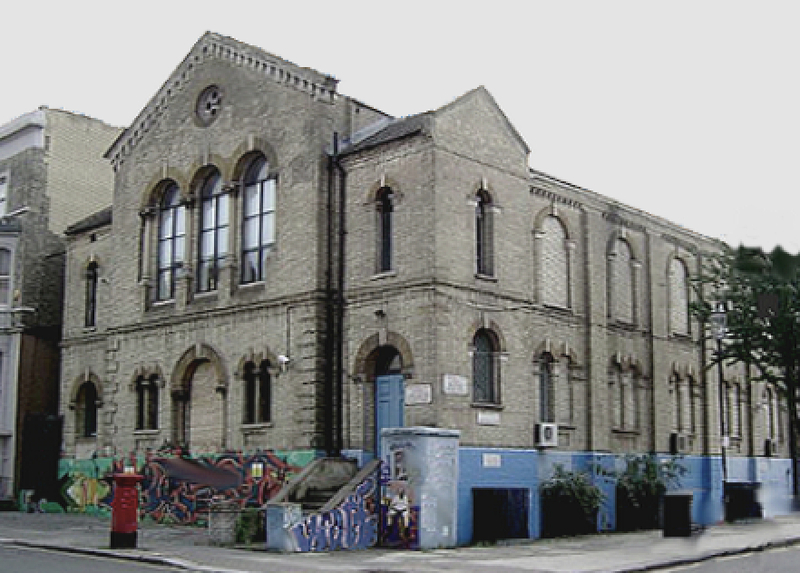 Jack: We used to go for jam sessions at Basing Street, which was the old Island records studios – these were good fun! [Ed: many of the most famous progressive rock records on the planet were recorded there including Genesis’ Selling England By the Pound, Camel’s The Snow Goose, and Jethro Tull’s Aqualung!] I would join along with Robin, Percy and Phil – John was always there – several guys would drop in. It was spontaneous – most of it made up on the spot. We jammed in all kinds of places – anywhere with an electrical outlet! Also all of us were doing a lot of session work – Robin with Bowie, Phil Collins and Percy Jones with Brian Eno, Steve Hackett and others. I was doing production with Kayak. So we were all doing different things. That was the catalyst for us working together. Percy: In late ’71 I moved from Liverpool to London. I hardly knew anybody down there, so I wasn’t playing for a while, doing construction work to support myself. Eventually I met Robin Lumley who lived in that area – also Keith and Julie Tippet, and Jack Lancaster who was friends with Robin. We used to rehearse in the kitchen in the house we were living in – just jamming there and weekly at the studio. It was me, Robin, John and a couple of other guys. So we did these jams and it was quite fulfilling and good. But it didn’t occur to us that it would go anywhere because it just seemed like the music might be too out there. D: About the origins of Peter and the Wolf and Marscape, how did you and Jack come to write and assemble the records? Robin: It started off with Peter and The Wolf. A friend of ours, Hugh Raggett (editor of The Charge Of The Light Brigade and numerous award-winning films by John Schlesinger) came up with the idea of a movie to put the music of Provokiev into a jazz ballet and wanted us to adapt the music to a modern jazz format. We duly did this but before long, the film finances fell over (as they often do!) We were left with this score and now nothing was happening. We decided upon making a record with guest stars playing the part of animals and humans. We assembled a short-list of rock stars to do this and took the whole project to Chris Youle, the then boss of RSO records who gave the go-ahead for the project to begin. 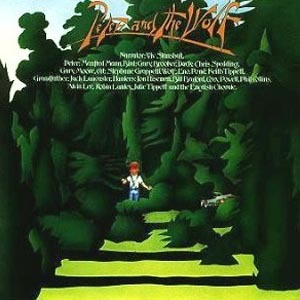 Jack: Peter and the Wolf was then arranged and recorded with a cast of guests, with Phil and Percy as the rhythm section. For a couple of bits Cozy Powell joined, but most of it was them, with John as a rhythm guitarist – he played well with Gary Moore – their styles are completely different which helps a lot. The album did pretty well. Robin: The attention received was tremendous. RSO got behind it right away. There was no talk of a film, seeing as that was torpedoed at the start with the ballet being scotched. D: Was RSO then anxious to repeat the success of Peter and the Wolf with a followup? How did you two land on the idea of Marscape? Robin: RSO on the back of P&W wanted us to follow up with an idea of our own, Marscape, which we did the following year. 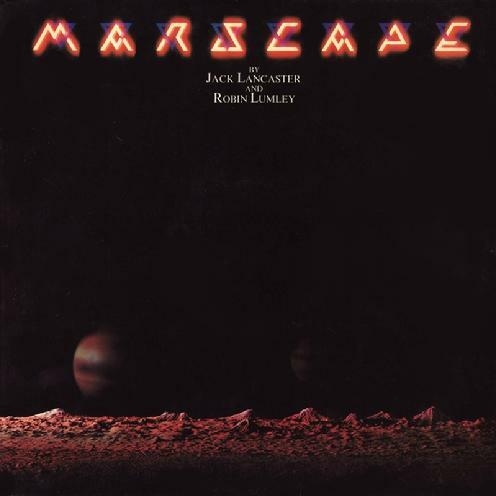 Marscape if you like was the soundtrack to an “imaginary” film about a voyage to Mars. Jack: Robin and I took a holiday at Château d’Hérouville in France – it’s the place where Chopin and George Sand worked – later Elton John, Rolling Stones and many others. We worked out the music on a piano that was said to have been Chopin’s. We had gone to write it with the idea of recording it there, but we ended up going back home to record at Trident studios. The album does have several sound effects that are evocative of the story line, one involves a funny story about Percy. For “Mons Venus”, we had this monster gong attached to a crane so we could blow into this huge collapsible vat of water to get the sound of bubbling lava. Percy waded around in the pool blowing through a mic stand – it was really dangerous – electronics and water – it’s not a good idea – you can imagine Percy wading around blowing through a tube making bubbling noises that we wanted to sound like lava! In those times, you created your own sound effects. The Marscape album was also put out by RSO Records, the year after Peter and the Wolf, and it did surprisingly well, being only an instrumental record. There were no lead vocals, but there are background harmonies on it recorded by Bernie. Bernie is a guy who had a wonderful voice – wrote and sang with Status Quo – they were and still are quite popular in England. D: Any final recollections of these times and the work on these records? Jack Today in Sunny LA! Robin: It was all GREAT FUN!!!!! Nothing stands out as a track, or piece of music, except for the whole project taken as one. 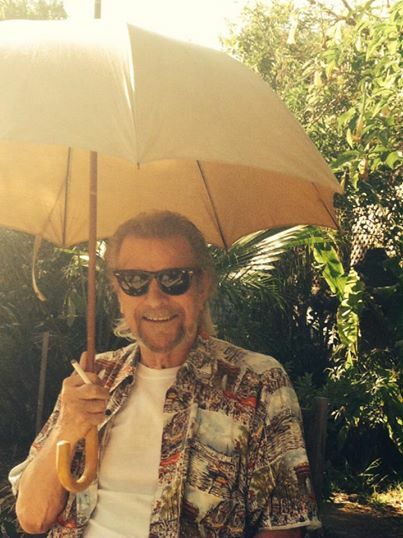 There’s a lot of luck there – dozens of musicians that are ten times as talented as me, yet it happened to my good self. Thanks to St Cecila, I guess! Jack: One thing I like about the albums is the spontaneity – once we learnt the tunes it became about a loose jam – we played them in that manner, and they were the best guys to do it. Particularly with Percy and Phil – there’s nothing like a great rhythm session. I consider these records high on the list of the things I’ve done. Next week in part III we will go on to discuss the origins of Brand X which was brewing at the same time as these terrific Lancaster & Lumley albums. Brand X is a band that originated in the mid 1970’s out of London. While best categorized as jazz-fusion, Brand X incorporated rock and progressive genres into their work. Their official debut album Unorthodox Behaviour was released in 1976, but the musicians who made up the band were quite busy before that record was released. The founding members on that brilliant album included Robin Lumley (keys), John Goodsall (guitars), Percy Jones (bass), and Phil Collins (drums). Jack Lancaster (winds) also plays on a couple of tracks for that first album and was an important part of their launch. Morris Pert (percussion) joined on their second album and from that point on there were several personnel changes until they disbanded. Many of us learned of Brand X because of Phil Collins’ involvement. 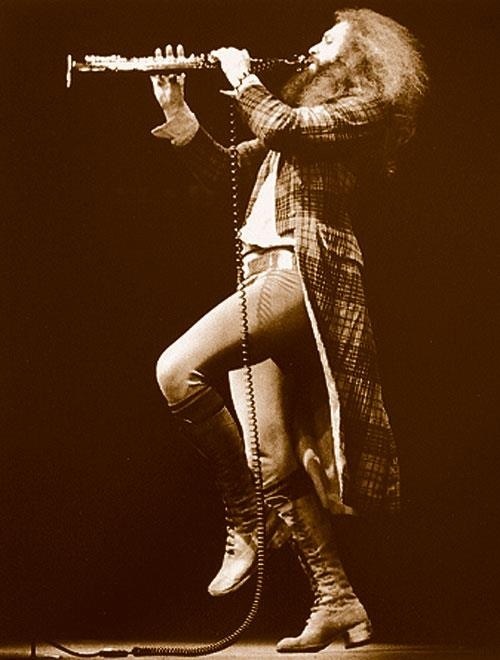 In the same year as their debut, Phil had taken over vocals for Genesis after Peter Gabriel departed, and the band released Trick of the Tail, which also sports some of his most aggressive and creative drumming with that band. For Brand X, Phil took his playing to a new level – arguably at the top of his powers, with bassist Percy Jones as a backing duo foundation for blistering rock-infused jazz-fusion that’s in a class of it’s own. Most progressive rock fans were drawn in and developed an appreciation for the jazz-fusion form, if they had not previously. But to properly begin the story of this seminal group, we need to step back to the few years before their debut, back to when this gang was busy jamming together whenever possible in the kitchens, pubs and studios of London. Most importantly, before the debut, Jack Lancaster and Robin Lumley wrote and released two albums – Peter and the Wolf and Marscape, which included playing by all of the members of what became Brand X, along with other guests. Both albums were re-mastered by Jack Lancaster last year and are available on Gonzo Multimedia. I had the opportunity this month to talk with Jack, Percy, and Robin about these works, and the origins of Brand X, and will cover these discussions over several posts. Let’s start by taking a look at these works, starting with the first release for RSO Records, Peter and the Wolf. The original Peter and the Wolf was written by Sergei Prokoviev in 1936 in Stalin’s Soviet Union. It’s been adapted many times over the years since then, utilizing classical, rock and other frames. The “prog-jazz-fusion” and sometimes rocking version of Peter and the Wolf as conceived by Jack Lancaster and Robin Lumley includes some of the themes from Prokoviev but also a lot of free form jams written and then improvised by the contributing musicians. Vivian Stanshall is the narrator, and the players joining Jack and Robin include Phil Collins, Cozy Powell, Gary Moore, Manfred Mann, Bill Bruford, Stéphane Grappelli, Alvin Lee, Brian Eno, and others. It’s a successful adaptation straight through – the story is shared intact via our narrator, and the musicians come up with clever ways to interpret the original tunes that represent Peter and his animal friends in the original work. Favorite themes as interpreted here include “Peter’s Theme”, “Cat Dance”, “Grandfather” and “Wolf” each of which shine. The album was considered a favorite by fans and the management of RSO Records, such that Jack and Robin set off to make a second album. Marscape the follow up album was an original work written by Jack and Robin in France and recorded at Trident studios in Britain. Again the future members of Brand X play with them on Marscape including John Goodsall (guitars), Percy Jones (bass), Phil Collins (drums) and Morris Pert (percussion). Also joining for Marscape were Bernie Frost (voices), and Simon Jeffs (koto). It’s by nature a tighter and more focused work than Peter and the Wolf, and should be a key selection in any fine music collection. Of this album, the authors wrote that the concept: “was a magical journey to the planet Mars… a kind of soundtrack to an imaginary movie, our intention was picture-making through music, so we conceived Marscape as one piece, divided up into audio sketches of the events emotions that might be experienced by voyagers traveling from Earth to the red planet. By the end, we surmise that the visitors realize that they are not visitors at all, but have actually returned home after a very, very long time away.” This perfectly sums up what a listener could imagine from the evocative thematic piece. Tracks include “Sail on Solar Winds”, “Homelight”, and “Dust Storm” each of which coveys the nature of the lonely and angry red planet. A standout track is “Hopper” which refers to the “machine for negotiating the rough Martian terrain” and which sports Phil’s signature skipping beat to a tune reminiscent of “Baby Elephant Walk.” Also gorgeous then a bit chilling is “With a Great Feeling of Love” that is described in liner notes as two parts – one “an inner warmth and feelings of affinity” and the next an “outer cold and icy silence.” Themes are developed early on and repeated to excellent effect, drawing the listener into the album and it’s concept. Again, the musicianship is first rate. These Lancaster/Lumley albums are wonderful and compelling preludes to the work of Brand X and classics in their own right. Highly recommended for fans of that band, or of acoustic and electric jazz-fusion. In the coming posts I’ll share recollections from Jack, Robin, and Percy on these times as well as the initial early work of Brand X. The brilliant British band Queen hit the music scene in the 70’s in a flash of lightning, building a musical history and legacy with which almost all readers will be familiar. Led by the enigmatic Freddie Mercury on vocals and piano, there were Brian May (guitar), John Deacon (bass) and Roger Taylor (drums). They blazed a trail which particularly in their early years included sometimes very inventive and progressive variations on the stadium rock form. Specifically, their 1975 album A Night at the Opera set a new high water mark for lush production values – layering vocals to create the sound of a true rock opera, culminating in the masterwork “Bohemian Rhapsody.” I feel fortunate to have seen Queen in Los Angeles supporting the followup to that album, 1976’s A Day at the Races. Freddie was one of the most amazing singers and performers I had seen before or since – he had an ability to connect with the audience in a way that engaged your emotions, reaching triumphant heights during their most anthemic numbers. After Freddie’s untimely passing late in 1991, it seemed the band would never tour again without him, even if George Michael nailed the vocals on “Somebody to Love” at festival. It seemed no one could or would try to appear in Freddie’s place, given his intensity of performance, connection with the audience, and overall persona truly impossible to duplicate. Brian and Roger did eventually tour again with Paul Rogers, the highly acclaimed vocalist from Bad Company, singing lead. These were great shows, though Paul’s more gritty, tough guy vocals and appearance could not summon Freddie’s presence. This year Queen set out again on tour employing American Idol winner and performer Adam Lambert up front. With anticipation and some trepidation we booked a chance to see them at the SAP Arena in San Jose on July 1, 2014. Any fears that the show would not live up to expectations were extinguished quickly. From the first selection “Now I’m Here” to the encores “We Will Rock You” and “We Are the Champions” Adam and the band delivered a performance that extended the band’s legacy. 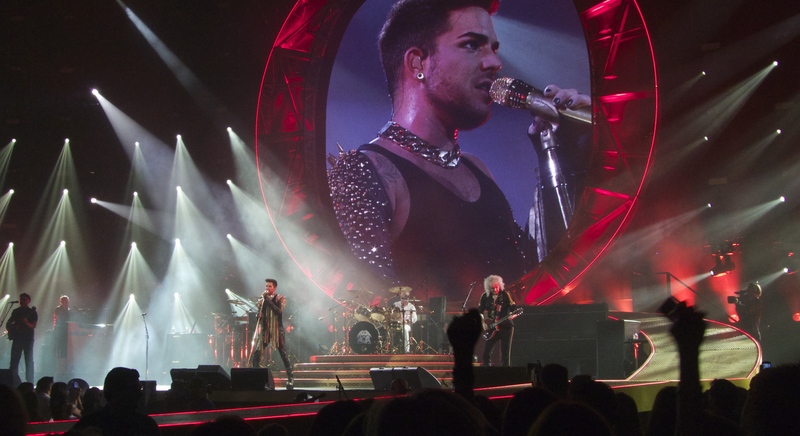 While not as “muscular” sounding and charismatic a vocalist as Freddie, Adam did him proud, delivering both pretty and powerful vocal performances over the two hour show. At two points in the set, Freddie even made an “appearance.” In a move that left no dry eye in the house, Brian came out front to play an acoustic version of “Love of My Life” – one of their most beautiful songs. 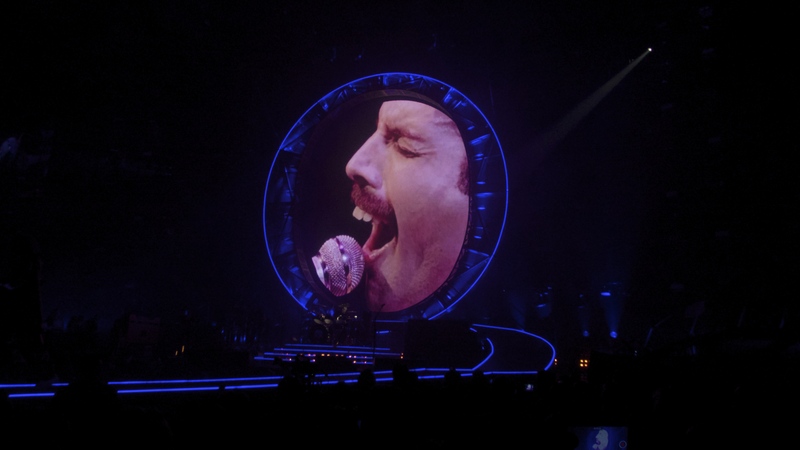 With the audience singing along, Freddie appeared on the main screen to sing along with us, his performance taken from a film clip of the band from an original live show. This was done one more time, for the last verse of “Bohemian Rhapsody”, one of the tracks Adam interpreted so wonderfully, with he and Freddie trading off the last words. It was impossible in the moment not to mourn the absence of the man, but it seemed fitting as recognition and tribute to his legacy. “Front man myopia” always threatened recognition for the other members of this band, but it must be recalled that Brian May has certainly been one of rocks most creative composers and guitar players with that multi-layered recording style and crisp pickup. Roger Taylor on drums as well stands as one of rocks better musicians – another drummer who has always understood the value of nicely tuned toms. Both are also vocally blessed – Brian sang “39” with Roger and backing band, and Roger sang “These Are the Days of our Lives” – screens awash with old film and photos of the band. 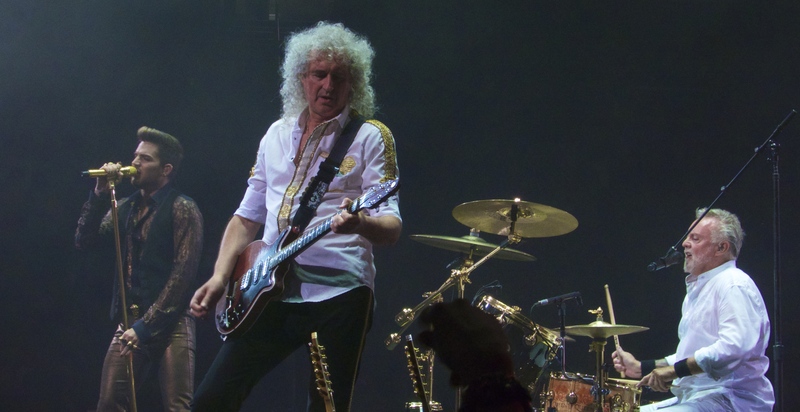 It’s clear these two love their early work with Queen and are justifiably proud, and excited about being able to play the original works live again, so effectively. By nature, it’s a long trip down memory lane, yet a chance for many who never saw the band to catch a glimpse of the magic that was and is still is, Queen.